ORF eins is an Austrian television channel. It was the first television channel in Austria, started in 1955. ORF eins is one of four public TV channels in Austria. ORF eins broadcasts TV series and featured films, whereas ORF 2 focuses on cultural programming and information. ORF Sport Plus is the new sports channel, but, ORF eins continues broadcasting of important sports events. Since it has to compete with a wider range of German private TV channels via cable or satellite, ORF programming focuses on a mainstream audience. Unlike the German TV stations (which are generally available free-to-air), ORF eins and ORF 2 are encrypted over satellite. ORF eins mostly shows films and episodes. In the morning a children´s program called okidoki is broadcast. Popular sports like skiing, Formula One and association football are also shown on ORF eins. ORF broadcasts its news program Zeit im Bild (The Times in Pictures) and the Magazine on ORF 2. Until April 9, 2007, Zeit im Bild was shown on ORF eins and ORF 2 simultaneously at 7:30 p.m. ORF1 then began to show a daily soap opera during the eight o´clock hour, but on July 1, 2007, it was replaced by Malcolm in the Middle (which has been replaced by Two And A Half Men) due to low ratings. Aside from this, there are news programs several minutes long at various times during the day, with the name ZiB Flash. After 8 p.m., the news program, called ZiB 20, is now broadcast; which replaced the old Newsflash. On January 28, 2008, the ORF started its high-definition services. The first broadcast was a ski race called The Nightrace in Schladming. A special HDTV event, introducing HD technology, was scheduled in all regional ORF stations right after. The technological partner for HD productions is Telekom Austria. In anticipation of the 2008 UEFA European Football Championship, the ORF launched its new channel ORF eins HD. Since few ORF-made shows and movies are available in high-definition, many standard-definition programs are upscaled. Contrary to initial expectations, just small sporting events have been broadcast in HD after Euro 2008. The HD output of ORF eins HD is limited to imported American television series such as CSI: Miami, House M.D., Grey´s Anatomy and Desperate Housewives. Note that Desperate Housewives and Grey´s Anatomy are broadcast in both English and German. Also, most Sunday evening movies are broadcast in HD. Due to a redesign in 2000, ORF1 received a new logo: a moving, soft edged, gelatinous cube with the number 1 inside. The logo has been nicknamed "Jelli." In 2005, there was another update to ORF´s on-screen design. To avoid a burning in of the logo onto plasma screens, it is no longer green but gray all-over. 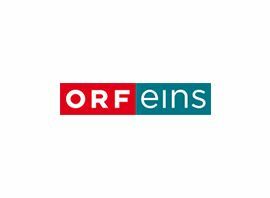 In 2010, it was announced that ORF1 would be rebranded as "ORF eins" from January 8, 2011.